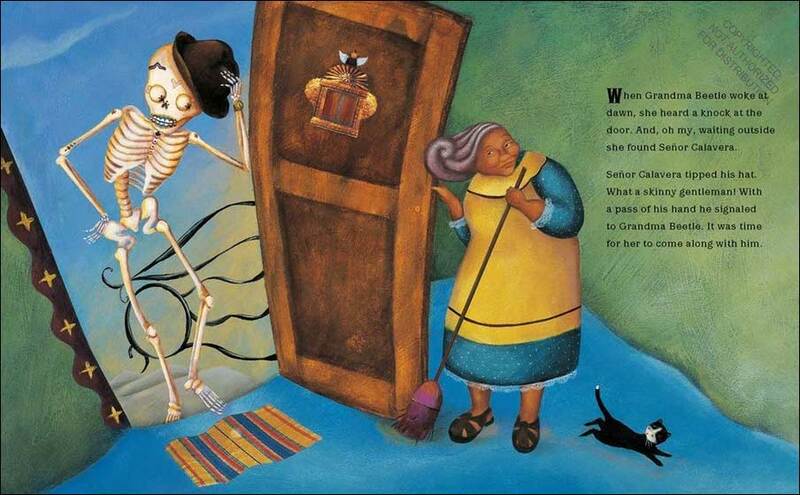 When Death pays Grandma Beetle a visit (yes, this is a kids book! ), she cleverly delays going with him with one "just a minute" after another. She first must complete her party preparations, which each involve an increasing number of items (using English and Spanish numbers). Finally, her grandchildren arrive and the unexpected guest (Death) joins them in the birthday celebration and decides, in the end, to give Grandma a bit more time with her little ones. 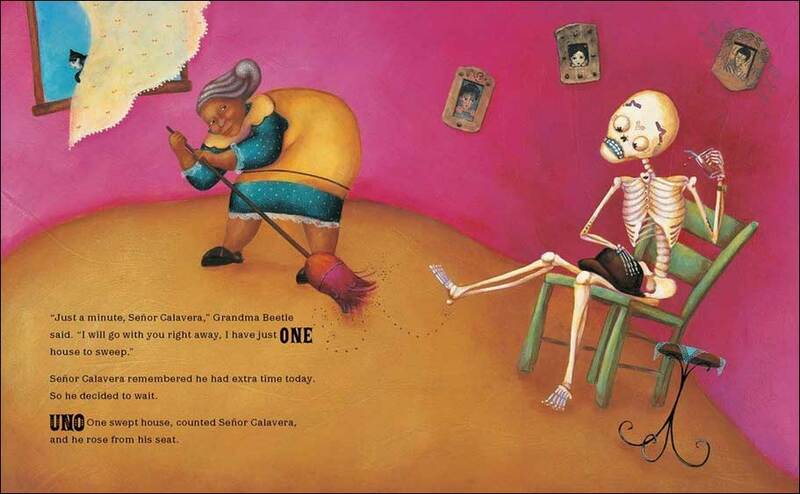 Drawing from Mexican culture and illustrated with a cute Day of the Dead skeleton as Death, this is a fun picture book to read aloud at Halloween time, on Day of the Dead, and for teaching numbers and counting. 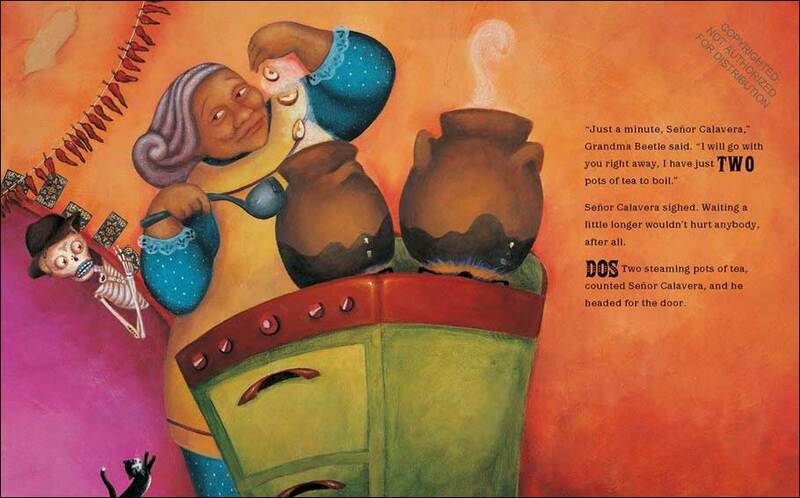 Sample illustrations from inside this book. 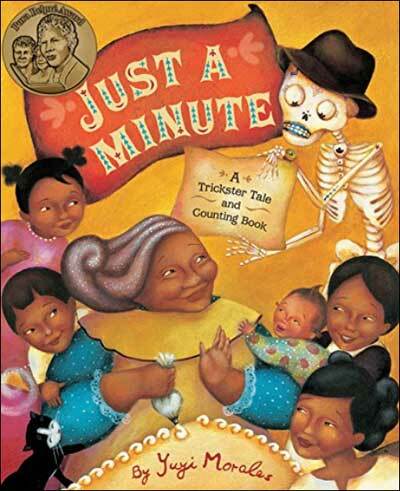 Although this book would work any time of the year, it'd be extra fun to read aloud during Halloween or Day of the Dead.